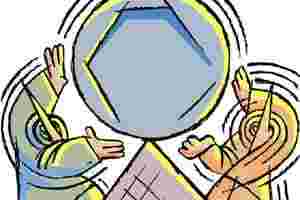 The Financial Stability and Development Council is due to meet in Kolkata this week to discuss the health of the Indian financial system. Also, the Reserve Bank of India (RBI) will release the latest edition of its financial stability report later this month. Both developments deserve to be watched closely, because the risk environment has changed remarkably (for the worse) since April. Too little thought is being given in public discourse about what all this could mean for India. There are also pressure points in the corporate and banking sectors. The sharp increase in external commercial borrowings by companies could lead to currency mismatches. It is well known that firms that have raised money through foreign currency convertible bonds face huge refunding risks after March 2013. The overall slowdown in economic growth is leading to deterioration in the asset quality of banks. Most of these are vague worries. What RBI will do in its financial stability report will be to put many of these concerns to rigorous statistical tests. In a previous report released in April, for example, the central bank said stress tests showed that banks are “reasonably resilient" in terms of credit, liquidity and interest rate risks. It also said the domestic financial system was stress-free. The Indian financial system is better regulated than its peers in many other countries. But there are two reasons why the regulators should be on their guard. First, there is endogenous deterioration on important fronts such as the current account deficit, the state of public finances, corporate funding and the asset qualityof banks. Second, the experience of late 2008 shows that the Indian financial system is not immune from a severe exogenous shock like the one that gripped the world after the collapse of Lehman Brothers that September. A more realistic reassessment of India’s risk profile this month by the two agencies in charge of overseeing systemic risk should open a more fruitful debate in 2012 about what the policy response should be.